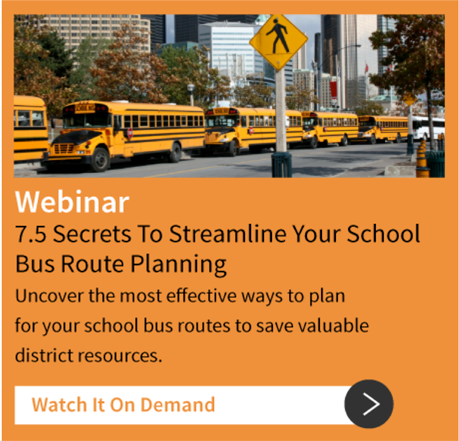 BusBoss school bus routing software uses various sources of map data for bus route planning. Missing roads, inaccurate road names and inaccurate house number ranges usually determine the quality of the map data. Our Map Viewer allows you to evaluate the quality of map data available in your area. BusBoss does not create map data. We allow our customers to choose their source of map data and we make it available for use within our bus routing software. Our Map Viewer works on any 32-bit or 64-bit version of Microsoft Windows operating system, including Windows XP, Vista and 7. You need an active Internet connection to download map data. When you run the Map Viewer application, you will be prompted for a state. Select your state from the list. You will then be prompted for a county. Select it from the list. At this point, the map viewer will download data from our website. There are several ways to navigate throughout the map. You may use the navigation links (shown in the image to the left). Click the center circle to zoom and center the map so the entire county is visible. Click the arrow buttons to move the center of the map accordingly. Additionally, use the arrow keys on your keyboard to pan up, down, left and right. Click the + or – icons to zoom in and out. Alternatively, press the + and – keys on your keyboard to zoom in and out. Using the scroll wheel on your mouse (if you have one) will zoom in and out as well. You may also click and drag a rectangle on the map to zoom in. The folder icon allows you to select another county to view. When you click the “Open Map” icon, first select the state then the county. After this last selection, the map data will be downloaded from the Internet and show on the map. The layers icon allows you to view the layers that are visible on the map. You may configure the layers to make them visible (or not), as well as other properties assigned to each layer. The TRIPpatrol™ button allows you to download routes that were collected using the TRIPpatrol application. When you click this button, you will be prompted for a vehicle that you want to display. Then, you will be prompted for the date and time range for the vehicle. After you select your information, additional map data may be downloaded. When the map data is displayed, the path for the vehicle is highlighted automatically. The clear button allows you to remove map data and TRIPpatrol data. After clicking the clear button, you may then select different map data. Search for address: Type an address into the search box and then press enter. If the address is found, the address will display on the map. Search for intersection: Type two street names separated by “&” (Example: 5th & Main). If an intersection is found, it will display on the map. Multiple intersections may exist for your search. Each will be marked on the map, but only one of them may be visible. Search for street: If you input a street name and hit enter, all streets with that name will be highlighted on the map in red. Since it is likely that multiple streets will match a street name search, the streets found may not be visible on the map. You may need to zoom out to see the streets that were found. Ready to learn more about BusBoss’ bus transportation management solutions, including Map Viewer? 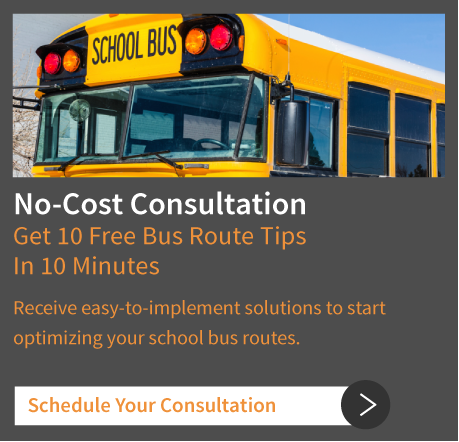 Call 484-941-0820 or click here to speak with one of our knowledgeable bus routing software experts.